This 4 1/2" Wood Handle Pocket Knife, which has a 3 1/2" blade, is fully customizable.Order now! Is there somebody in your family who carries a pocket knife wherever they go? 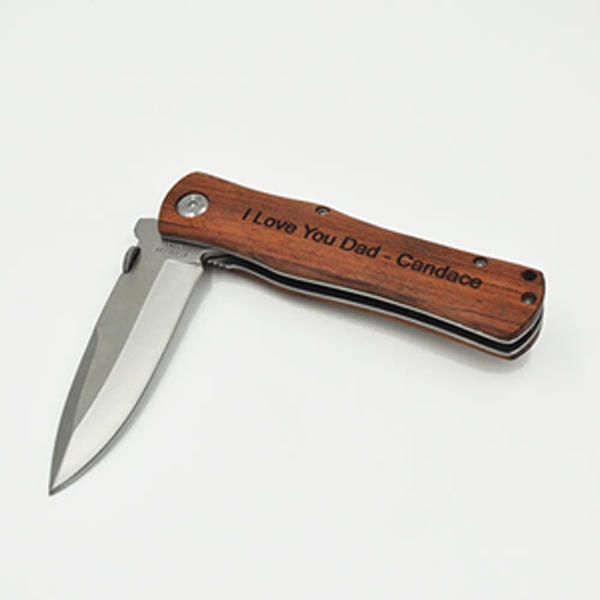 This Customized Pocket Knife will remind them how much you care every time they use it. This is a great gift for any Father's Day, Birthday, Holiday or anytime you want to make someone feel special.